Blogging Marathon# 49: Week 2/ Day 1 Theme: Cooking for 1 Dish: Arisi Upma I will be 'Cooking for 1' this week. Ever since I started cooking, just cooking for myself has rarely happened. Back in the grad school days, my roomies and I used to cook for the whole gang. After getting married, never got to cook for just 1. But with my husband traveling a lot lately and both the kids in the school, there are days when I have to cook for myself. First make Rice Rava: Combine rice, toor dal and peppercorns in a wide bowl, sprinkle couple of tablespoons of water over the rice. Rice should be wet but not soaking wet. Mix well with fingers and set aside for 10~15 minutes. After 15 minutes, most of the water will be absorbed by rice and the mixture will feel damp. Don't let the rice get too dry. Grind into a coarse powder. If you prefer a finer upma, then grind longer to form a finer powder. 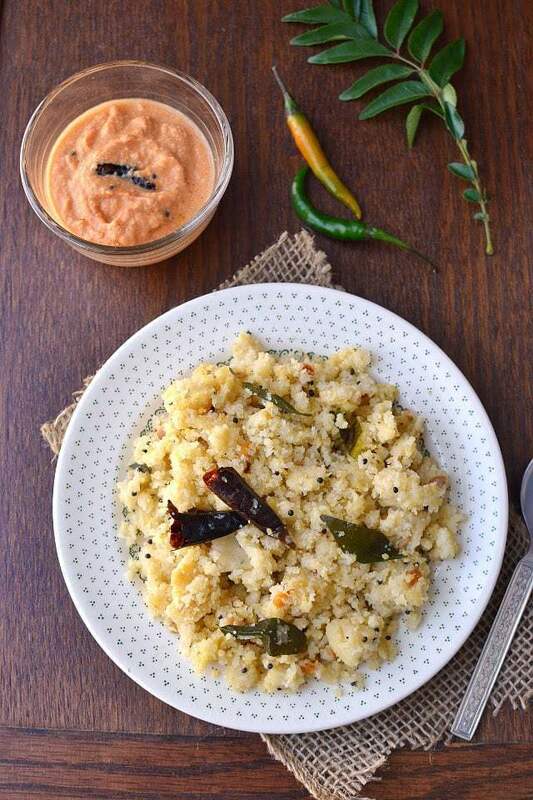 Make Upma: heat 2tsp oil in a medium sauce pan, add the tempering ingredients and once the seeds start to splutter, pour in about 1 cup of water and bring to a boil (adjust the quantity of rice depending on the rice you are using, some rice may need more water to cook). Add salt to the boiling water, mix well and slowly stir in the rice-dal mixture. Bring the mixture to a boil again, now lower the heat to simmer -- cover with a lid. Pour some water on the lid -- this ensures that the upma stays moist. Cook for 15~18 minutes, stirring in couple of times in the middle, or until the rice is cooked through. Serve hot with a chutney or pickle.